125 first st. w. / 319-895-9463. LUNCH April – December on Saturdays only, open at noon! Looking for a place to host a private party? How about a PIZZA PARTY?! We can make that happen anytime Sundays or Monday through Thurdays at lunch, just give a call and lets chat. Lincoln Winebar, is an informal place to visit with friends, drink a little wine or beer, eat some great wood fired pizza, or a special snack/salad, and see some of the area’s best live music. Opened in 2007 the winebar was expanded in early 2012 to include a beautiful wood fired pizza oven from Naples, Italy. The expansion tripled the seating area and allowed for the addition of a small stage for live music. Come check it out. Jesse Sauerbrei is a native Iowan and had worked as a wine/beer sales representative in the Eastern Iowa area from 2004 until taking over the driver seat at LWB in 2014. Now he just listens to podcasts, makes dough, geeks out on all things pizza, and from time to time talks too much. Very knowledgeable in his craft, he’ll suggest just the right drank to pair with anything on the menu. Like to chat pizza and or wine? Have him swing over to the table. Word is, Tuesdays are great for such a thing. Hailing from the deep southern area of Blue Ridge, Georgia, Nick Bradburn has made his way into the ranks at LWB. He completed the culinary program at the prestigious North Georgia School of Technical College Things. After which, taking over the kitchen at Village Wayside in Asheville, NC. In 2016, hearing of the budding food scene of the corridor area in Eastern Iowa, Nick took north. Finding himself in Cedar Rapids, he quickly decided to become part of the team at two of the areas better establishments, Lion Bridge Brewery, and Pig and Porter. …but Nick had a dream. A dream that would take him just a little bit to the east of Cedar Rapids. (seriously only 10 min) A dream of breathing in finely milled flour on the daily. A dream filled with smells of fire, sourdough, and well roasted meat and veggies. Smells of godliness if you will. Jesse snagged him up as soon as a position opened. Nick is awesome, a lil shy but always in a good mood. He loves to maka da pizza, and wins the ladies over with his tiramisu. EVERY. TIME. He’ll be by the oven, give him a holler. Is it a bird? Is it a plane? Is it?…Is it?…IS IT A FRANKO?!?! It is!!! It is!!! ITS A FRANKO!!! ANDI SOFRANKO, born April 19th in Palo Alto, California. Twin to the great James Edward Franco, has been hiding here in the lovely town of Mount Vernon since 2006. She found herself annoyed with the lights, camera, and fame that came from being the 2 minute older sister of the famous actor. Early 2006 she packed a bag, sold the lambo and moved to Iowa! Once arriving, she traded the “c” for a “k” and added a “so” So being short for “So what! ?” And that’s what Andi does! She brings just that kind of attitude to the LWB. Don’t like our house pork sausage pizza? So what, have a greens!!! Just as Jesse, she has been running the local scene for years. Always pop’n a smile and some jokes, she handles a bunch of the day to day at LWB with style. Whether you need to book your band, have a question about the digs, or want to see a certain beer on the menu, this gal will take care of ya! Need a job? Talk to her! Got a problem? Call her! Cant stand Jesse’s social medias? Tell her about it! 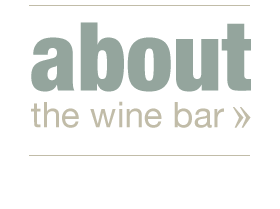 We feature a small but lovingly created list of wines and beers from around the world. We offer at least a dozen wines by the glass and both the bottle list and the glass pour list change weekly if not daily. The winebar also features a list of around 20+ small production craft beers from around the world. Places like Belgium, Norway, Japan, the U.K. and the U.S. are always well represented. We change this menu a lot as well so you’ll never get bored. Along with the five pizzas that we always offer we also feature three or four special pizzas each day from our beautiful wood oven, sometimes a salad, (especially when the farmers are bringing us great veg,) something sweet, intelligenstia black cat analog espresso, and some really special tinned seafood from spain that we just love. The wine bar features live music every week at 7 or 730 depending on the day. You’ll find blues, folk, bluegrass, and jazz at the bar on a regular basis. See the home page for this month’s schedule.